Vero Beach Rowing Club is grateful for the support from Wheels & Keels Foundation of Vero Beach, Florida. Wheels & Keels provides funding to four local non-profits whose activities strive to improve the lives of children and adults in the Treasure Coast community. 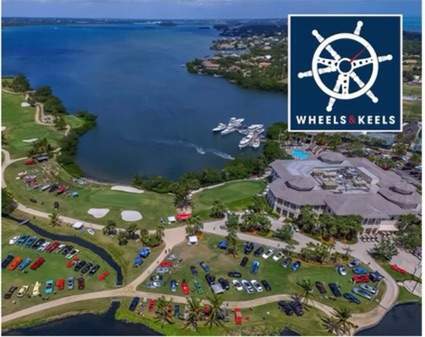 Wheels and Keels hosts an annual fundraising event, held every April at the Moorings Yacht and Country Club, featuring a Friday evening dinner and auction, and a vintage car and boat show on Saturday. Visit https://www.wkvero.com to read more about Wheels & Keels of Vero Beach, or https://www.wkvero.com/donate/ to make a donation. What Makes Vero Strength + Conditioning Different? Vero Strength + Conditioning boasts an 8000-square foot facility full of functional equipment with room to move, plus facilities like men’s and women’s restrooms and showers. Our equipment includes thousands of pounds of bumper plates, kettlebells and dumbbells as well as dozens of bars, medicine balls, climbing ropes, slam balls, gymnastics rings, pull-ups bars, rowers, ski ergs and air bikes. Our gym community is unmatched. We routinely plan and host intra-gym competitions, charity events, beach workouts, themed workouts, parties and more! Our member-athletes are approachable, hard-working and fun!